Verizon has announced that the Android 4.2.2 update for the Galaxy Nexus will start rolling out in phases today, March 19. No, this is not some sort of sick joke. 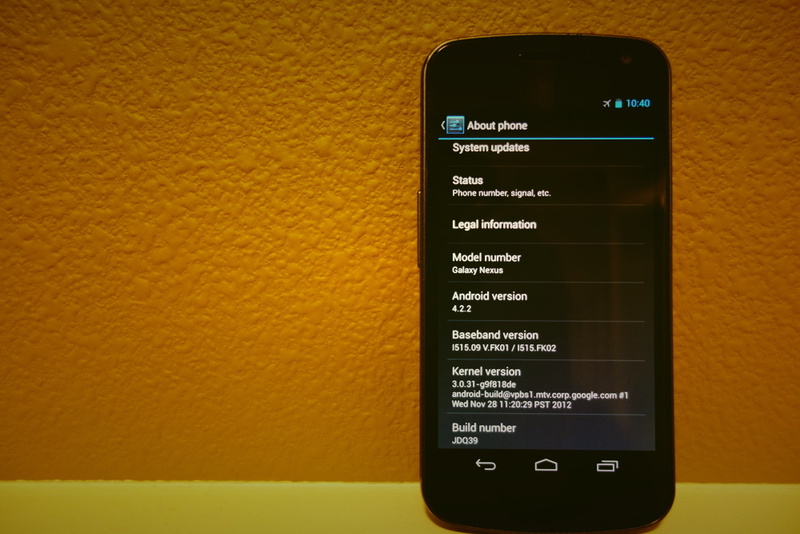 We’re assuming it’s the same build that leaked a couple of weeks ago as Android 4.2.2 build JDQ39. We’re still waiting for the support docs to arrive, so we won’t know for sure until that happens. But since JDQ39 is the most current version of Android, I’d assume it’ll be the one. You can manually update to JDQ39 here with our instructions for all situations. If you just want the radios, you can grab those here. Update: The changelog is finally available and shows that the build is JDQ39. Feel free to manually update without worry!